للمسافرين الذين يرغبون أن يعيشو كل ما تقدمه جولد كوست, Karana Palms Resort هو الخيار الأمثل. يحظى هذا الفندق ذو 3.5 نجمات بمكان ممتاز يسمح بالوصول إلى المعالم السياحية الأكبر في المدينة، فهو يبعد مسافة 0.3 km عن صخب المدينة. سوف يعشق النزلاء موقع هذا الفندق، فهو قريب من أهم المعالم السياحية في المدينة كمثل Jet Boat Extreme, Super Duck Adventure Tours, متحف الشمع . يعمل Karana Palms Resort على ضمان إقامة مريحة لضيوفه من خلال خدماته الممتازة وحسن ضيافته. لضمان راحة ضيوفه، يقدم الفندق الخدمات التالية: تسجيل وصول/خروج سريع, تخزين الأمتعة, واي فاي في المناطق العامة, صف السيارات, التوصيل من وإلى المطار . بالإضافة لهذا,تتضمن كل غرف الضيوف مجموعة واسعة من وسائل الراحة . بعض الغرف توفر حتى تلفزيون بشاشة مسطحة, اتصال لاسلكي بالإنترنت, غرف لغير المدخنين, مكيف هواء, خدمة الإيقاظ لإرضاء أكثر الضيوف تطلباً. يقدم الفندق العديد من الفرص للاستجمام كمثل مسار جولف - ضمن 3 كم, حمام سباحة خارجي, تدليك, حديقة. مهما كانت أسبابك لزيارة جولد كوست، فإن Karana Palms Resort هو الخيار الأفضل لإقامة مثيرة وممتعة. Great little pool, lights up at night. Short walk over bridge to main st. Nice to get away from hustle and bustle. Our unit was level 2 balcony over looking pool. Great car parking with ample space. A little tired looking could do with a mini makeover/ reno. Overall was perfect for us. Loved it. Our comfortable compact one bed room apartment was all we needed for an economical 3 night Cold Coast stay. We didn’t need to use the car - just left it in the free undercover parking. 11 mins walk to Surfers and 6 mins walk to the local resturants. Expect an older style apartment block - no lift, no dishwasher, no toiletries except for soap, stained carpet and money needs to be spent on tidying it up. BUT a comfortable bed, a clean kitchen and a great location in a suburban street made it a great stay. The Karana Palms is a hidden gem! A very comfortable bed, a separate lounge room and a kitchen with excellent appliances. My balcony overlooked the pool and barbecue area. Highly recommend at very affordable rates!! This hidden gem is a short walk and you are right in the chaos of Surfer's Paradise. 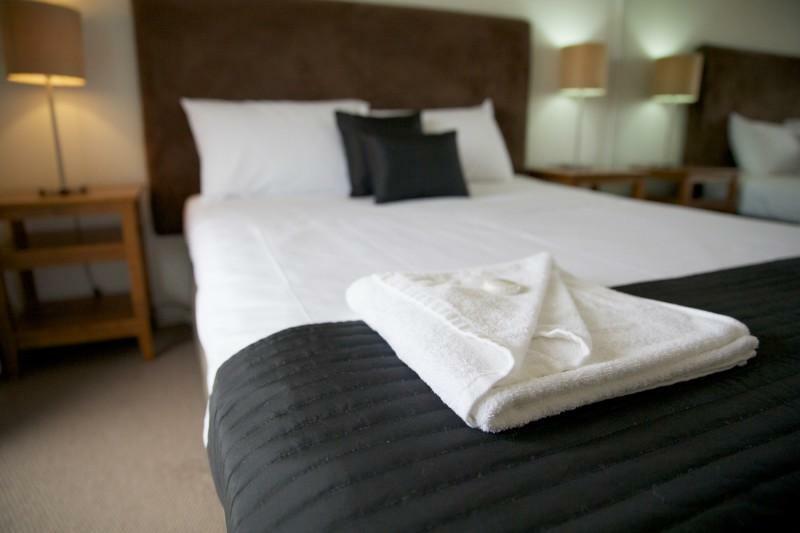 The hotel itself has spacious little apartments which means you have plenty of room. Since it is in a residential street it is much quieter than staying closer to the beach. We love this place and will definitely be back! We stayed for 4 nights， accommodation was easy to located from GPS. Coles supermarket and restaurants are 10 minutes walk from the resort. No elevator, so you have to carry your luggage upstairs. There is a secure car park that you can park your car. You have to pay for Wifi and air conditioning. They provide each guest a piece of soap and a towel. So you have to bring your toiletries. There is a washing machine and a dryer in the unit which come handy if you stay for few days. There is a kitchenette with stove, microwave and oven. I will return next time if I come to Gold Coast. The manager was fantastic and very accommodating. 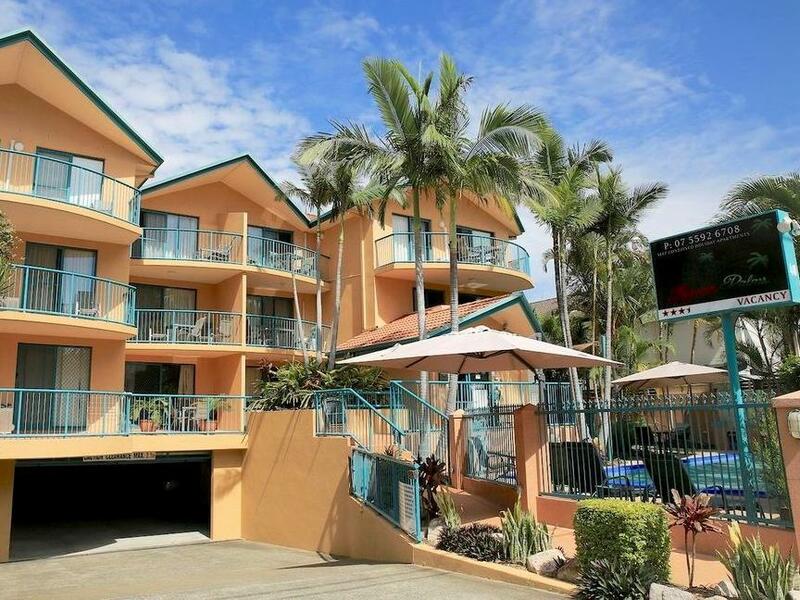 Great location walking distance to a lot of attractions. Very quiet building which was also a bonus nothing worse than when you stay in hotels and get woken up early by other guests being noisy. Would definitely stay there again. Pros: Great location to Surfers and the light rail. Quite even though it's a short walk to restaurants and shopping. Rooms were a good size, generous balcony & rooms felt fresh and clean. Cons: Wifi was slow and limited. Kitchen was tired and showing its age. The pro was the location which is very close to the downtown gold coast. The cons were limited wifi data, portable heaters only, no central heater, the place is an old place even though slightly well maintained. No elevator. Excellent location, a very clean and comfortable apartment, excellent staff and one of the Gold Coasts best kept secrets!! For a great location, wonderful shower and a quiet night's sleep that's economical, Karana ticks the boxes. My unit was tired in décor, stained couch, towel rail unhinged and needing a re-paint in parts. The ceiling fans are excellent, well equipped kitchen, undercover parking and beautiful private pool area. Friendly and helpful staff. Unattended check-in for late arrivals unfortunately was the downside. Thank you Wenfu. We were very happy with you. This is a quite nice place. It has full cookware. It has a laundry machine, air dryer. So we can do the laundry. Very clean. Nice staff. There is near by Coles and Woolworth. They provide 3 soaps. But there are not shampoo and body cleanser. No elevator. Very friendly staff. I will stay there again, if I have chance. Amazing value for money! We had a one bedroom apartment for the week which was clean, light and had everything we needed. The staff were particularly friendly and helpful. Thank you Karana Palms Resort. From the time we checked into Karana Palms and checking out... We loved every moment of it. The staff were amazing. Very friendly and kind. We bought multiple theme park tickets from the reception which was awesome so you wouldn't wait in line at theme parks. You also get an extra boat cruise for free if you booked through the reception if purchasing dreamworld,white waterworld & Skypoint ticket. There is also free private undercover carpark here which was great as we hired a rental car for our stay. The apartment was great and very big for my Partner & I. I loved that we had the washing machine & Dryer aswell. We felt very comfortable and felt like home. It came with everything. Our neices and nephews also came into visit us and they loved the place too. There is also a sofa bed which was awesome. The only downside of the place was the stairs as there were no elevators which is fine as we were young so we could walk but would recommend a lower level if you were older and have children or alot of luggage. But overall...we would stay here again. The price was so cheap. The room was very clean and neat. The staff were very helpful and friendly. My stay at karana palms was very nice. I read some reviews online and was thinking maybe I booked a dud hotel. But once I walked through the door. It was very neat and tidy. And I had no problem with my stay there at all I thought for the money I paid for the apartment that it was very nice. The staff were very friendly as well. They also gave me a free heater for the room for one night just because they wanted too. Highly recommend. I will definitely go back. The staff were very welcoming and whilst there were a few things now working in our room they were fixed very quickly. I'd stay here again! The location was amazing- right near the shops, bus stops and beach. Amazing value for money! The apartment was adequate, however it was a little dated and could do with a refurb. The location was superb for access to surfers and the island itself has most services. The reception was never open which made it hard to utilise the service they claim to offer and being charged an additional $30/night for our 5 year old son really took the shine off our stay - unfortunately. The apartments have a lot of potential and they are good value for money, its just a shame that the management/owners dont seem to understand the hospitality industry and their clients.